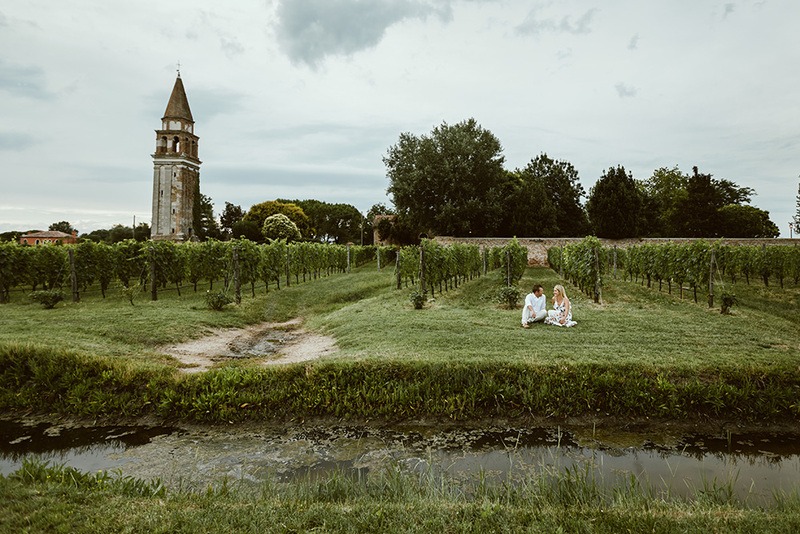 Stephanie and Marcus had been planning a holiday to Burano and planned to have an engagement photo shoot on the picturesque island in preparation for their upcoming wedding. The beautiful location is most notable for it’s pastel coloured houses and buildings and therefore is really the type of back drop a photographer can only dream of for a romantic couples photo session. After browsing our available photographers for Venice, the couple decided on Andrea for their shoot. Coming from South Africa and not knowing the area, Stephanie and Marcus knew that choosing a photographer that was local to Venice would be a wise choice. Andrea describes his style as ‘purely photojournalistic’ due to his love of the spontaneity of moments captured from afar. With that, he is also able to help clients pose in a natural way to help convey the emotion they feel so it is able to show in the photograph. As if we were there in Burano, the viewer can see the gorgeous surroundings with his wider shots but at the same time they are able to sense the intimacy he has created with the couple through posing and closeness of the shot. The variety of images is key for this type of shoot and what the images will be eventually used for in the near future. Engagement shoot images are the perfect way to bring together announcements for your big day. Like Stephanie and Marcus, many couples choose to create a website for their wedding due to lack of time or simply to stay extra organised. Images like these are perfect for using on website for your wedding, save the date cards, invitations and even the first Facebook announcement. The perfect excuse to have some photo shoot fun whilst on holiday! You can have a look at some websites for help here & here. Need help finding the perfect location for the shoot? Not to worry. You can browse our locations page or check out Pinterest for inspiration. 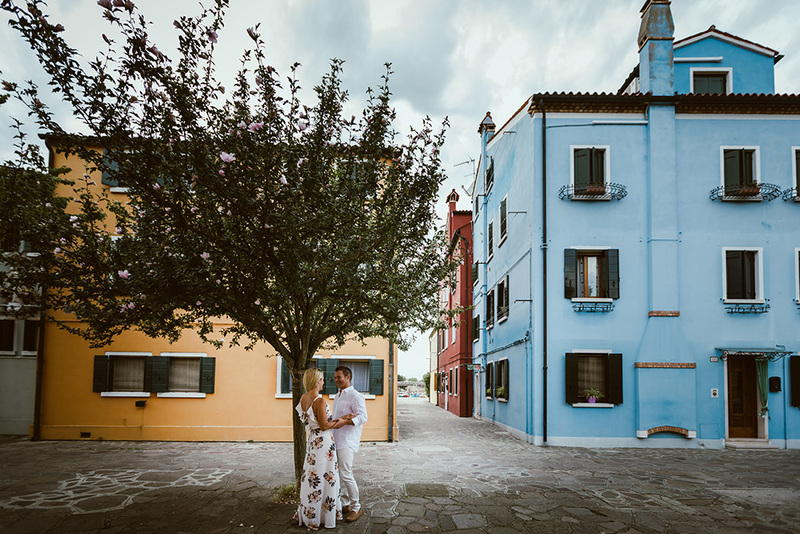 We love the idea of heading to Burano for an engagement shoot after seeing these images. Not engaged but planning on it? Check out our multiple options for proposal packages ensuring your are getting exactly what you want when you pop the question. The romance of Burano awaits you!